Leading off today: Votes will be taken on several significant topics Friday when the NYSPHSAA Central Committee convenes in Saratoga Springs, but a topic that's only on the agenda as a discussion item will probably garner a lot of attention. That's because the association's football committee is proposing the addition of at-large teams to the state playoffs in order to do away with quarterfinal byes in three classes. If the proposal makes it through the system intact, it's possible the changes will take effect in time for the 2019 tournament. The addition of on at-large team apiece in Classes AA, A and D comes following a recommendation from the Championship Advisory Committee to do away with byes that allow some sectional champions to advance directly to the state semifinals. The football committee is due to submit an updated regional rotation anyway, so this would be the time to incorporate at-large representatives, which be comprised of teams that lost sectional finals. Sections from the Eastern and Western halves of the brackets would alternate providing the at-large reps. 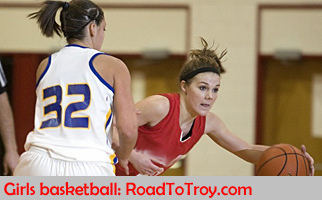 In Year 1 of the plan, losing finalists from the Section 3 Class AA, A and D tournaments would play vs. Section 1 champions in the quarterfinals. Section 1's champs in Classes B and C would face the Section 9 counterparts and Section 3's five champions would face off as usual against the Section 4 champions. In Year 2, Section 1's at-large reps in Classes AA and A would play the champions from Section 9. Section 1's Class D runner-up would play the winner of the Section 7 vs. 10 contest from Week 10. The five Section 1 champs would play a mix of Section 2 and 9 champs. 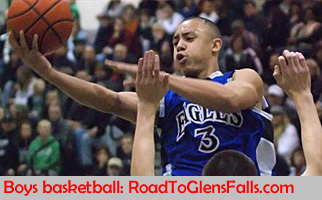 Section 5 would supply the at-large teams in Year 3, sending its AA, A and D runners-up against Section 2's champions. In Years 4 through 7, the at-large reps would comes from Sections, 2, 4, 9 and 6 respectively. The loser of the Section 7/10 Class D game would get at-large berths in Years 5 and 6. The rotation concept is similar to what the boys hockey committee has done the last several years to fill out the Division II quarterfinals. One question certain to arise as committee members take the football proposal home for discussion is whether sections with small numbers of teams in particular classes should be given byes as frequently as sections with many more teams; there is a greater disparity in the number of football teams than in hockey in that respect. And, of course, those numbers can be very fluid as eight-man football grows at the expense of Class C and D, likely forcing recalibration of the classification cutoffs more than once in the seven-year rotation. Deciding how to decide: The Executive Committee will be deciding the pathway to resolving the long-debated issue of whether girls basketball, softball and boys and girls volleyball will have to abide by NFHS rulebooks or continue operating under other sets of rules. "We've got to decide one way of the other," NYSPHSAA Executive Director Robert Zayas said earlier this week, noting that it's an issue of both retaining and training on-court officials. The Executive Committee will be asked to vote on putting the subject to a referendum vote, a process I cannot recall being used recently. In referendum votes, each member school casts a ballot signed by the superintendent, principal and athletic director. If the Executive Committee rejects that solution, then it will settle the issue itself in a May vote or pass it off to the Central Committee in July. If it comes down to a July vote in which the Central Committee says all should abide by NFHS rules, implementation might not come until the 2020-21 school year. Six classes: The proposal originating in Section 5 that would allow sports with more than 500 participating schools to add a sixth state playoff class will be voted on Friday. The expansion would be optional for the sports that qualify -- soccer, basketball, baseball, softball and girls volleyball. The proposal was not supported by the Championship Philosophy Committee at its September meeting. The last couple of times I've written about it, the comments I've seen in email and on social media have been mostly negative, stemming from a feeling that a sixth class would water down the playoffs. By the way, the proposal as currently written would have no effect on football. Because Sections 8 and 11 do not participate in the state tournament, the Long Island schools don't count toward putting football over the 500-school threshold. Pitchers and DHs: A baseball proposal that originated only last June has raced its way to a scheduled vote. If OK'd, a pitcher who also bats for himself could be treated as two players/positions. That would allow him to remain as the designated hitter if he's removed from the game as a pitcher, but he would not be able to return to the mound or play a position in the field for the remainder of the contest. The bottom line on the proposal is that it provides a touch of relief from pitch-count rules that might otherwise force a pitcher out of the game altogether. At the same time, the removed pitcher wouldn't be putting more wear and tear on his throwing arm by moving to shortstop or center field, for instance. More votes: I wrote a separate item earlier this week about hockey's situation, in which the state tournament may have to revert to 15-minutes periods. You can catch up on the specifics here. "NYSPHSAA recom- mends and supports the 'Best Practice' that every member High School has a Certified Athletic Trainer providing full-time access or coverage to the athletic program." Some may see that as a step toward mandatory hiring, but the NYSPHSAA has a history of being cautious when it comes to imposing policies with financial implications for school districts. • The loophole through which schools being repopulated after being placed into receivership by the New York State Education Department will likely be closed with a vote giving the NYSPHSAA office the power to place schools into their appropriate class. There have been instances in the past of schools playing in lower classes than what actual enrollment would have suggested, but the issue came into focus last winter when Buffalo East won a state Class D title in boys basketball with what amounted to a Class C-sized enrollment. • The addition of Hempstead Academy, a charter school, to Section 8 means that Nassau County now has a Class D program in boys basketball. That requires a minor reworking of the bracket for the state tournament, which is expected to gain approval. There's a minor quirk in the execution that could ultimately require Long Island's champ in the class to play one more game than the state tourney reps from other sections, but Sections 8 and 11 have signaled that they are OK with the arrangement for this year. • The fee for filing an appeal should be set to match the highest current fee in the state at the sectional level. • Any decision of the appeal panel to overturn a section's ruling must be a unanimous decision of the three-person panel. The rather nominal fee for appealing at the state level -- $200 for an in-person hearing or $300 via teleconference -- encourages appeals that have virtually no chance of succeeding. I raised an eyebrow at the idea of requiring unanimous decisions to overturn, but Zayas said his experience has been that 2-1 majorities either way are extremely rare. A vote most likely would come in the summer or fall. A special guest: One of the first orders of business at Friday's meeting will be the introduction of New York State Education Department Commissioner MaryEllen Elia, who is expected to make some brief remarks. Her name jumped off the page as I scanned the meeting agenda, and Zayas concurred with my hunch that it's possible no NYSED commissioner has ever attended an Executive Committee or Central Committee meeting. Elia, a Western New York native, took over as commissioner in 2015. Aside from overseeing more than 700 school districts with well over 3 million students, Elia is in charge of 7,000 libraries, 900 museums and 52 professions with more than 850,000 licensees. She answers to the state's Board of Regents. "People tend to forget what a difficult job she has," Zayas said. Elia has been final arbiter in a number of eligibility cases and a handful of other matters in her three-plus years. It's unlikely that her remarks will generate news, but the room will certainly be listening closely.